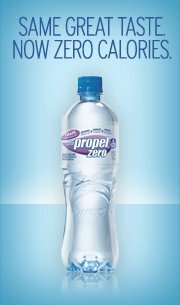 I want to thank everyone who entered my Propel Zero Gift Kit Giveaway - 10 Winners. I would also like to thank the giveaway sponsor, Propel Zero, for sponsoring this great giveaway for my readers. I have candles in every room of our house (except the kids rooms). Living room, dining room, kitchen, bathrooms and our master bedroom. In fact, some rooms have more than one candle. I absolutely LOVE candles and everything about them. The wonderful scent and the soft glow. I chose Bourgeoisie. A "scent"ual blend of jasmine, juniper and lavender. As soon as my candle arrived, it was unwrapped and burning within a matter of minutes. It filled the entire living room with a light aroma that was absolutely perfect. Modern Light Candles are clean and even burning. No high and low sides of the candle, it burns flat from top to bottom! Plus, each one lasts for more than 50 hours! Modern Light Candles was founded on the belief that everyone’s space should be filled with warmth, scent, and life. We are distinctly focused on bringing you high- quality, sophisticated scents that evoke a specific mood and captivate the senses. Part science, part creativity, our highly-fragranced candles are custom blended, individually hand-poured and made of 100% pure soy wax. We use lead free wicks exclusively and each candle is designed to provide more than 50 hours of intoxicating scent and flickering modern light. TWO (2) lucky Being Frugal and Making it Work readers are going to receive a 9oz Modern Light Candle of their choice ($40 value). 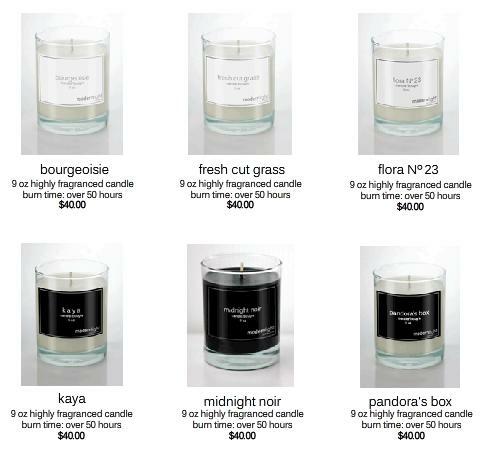 Visit Modern Light Candles and tell me which scent you would enjoy most. A special thanks to Modern Light Candles for this great review and giveaway opportunity! Send your mom the perfect Mother's Day gift! I would like to welcome you to the Fantastic Frugal Fridays blog party. The Fantastic Frugal Fridays blog party is hosted by JR from Frugality Is Free and me (Bridget) here at Being Frugal and Making it Work, and we are both very excited to invite all of you to share your frugal adventures with us. 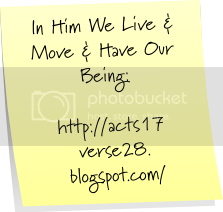 In Him We Live And Move And Have Our Being is written by Sue. Sue and her husband, Dave, are a wonderful North Carolina family that consists of 2 Siamese cats, Ling and Lucky. Mother's Day is about showing that special mom in your life just how special, loved and appreciated they are. Not just on Mother's Day but all year long. Mother's Day is right around the corner and I'm sure we are all wondering what to get mom this year. Mom's work so hard day in and day out, all year long, from the moment they wake up until the moment they go to sleep. I think we can all agree that mom deserves only the best! 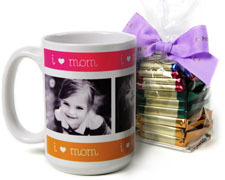 Personalized gifts for mom are always a favorite, a gift that speaks from the heart and tugs on mom's emotions. As a mom, I know that my most treasured gifts are ones that my children have made and ones that have photos of my children on them. Every year for Mother's Day my husband takes our two children to the local grocery store. They each get to choose a heart cake, carnation and card. Then they get to decorate the cake in any way they choose, in the bakery with all the fun toppings. The look on their sweet little faces when they give my my gift is present enough! 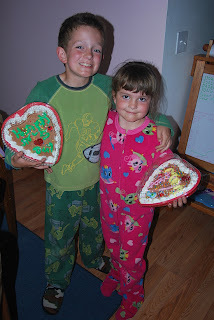 My kiddos and the cakes they made for Mother's Day! 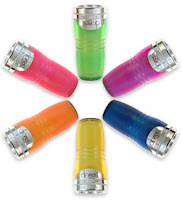 Last chance to Enter: Brugo Leakproof Travel Mug Giveaway (4/28) Open Globally!! Today is your last chance to enter to win an AWESOME leakproof Brugo coffee mug. Perfect for at home and on the go! This giveaway is open globally!! Don't let your chance to win a Crane humidifier slip away. This great giveaway ends tonight at midnight! With two children and a husband who works outside, laundry is a never ending process. No matter how many times I check, there are certain items that get past me and go untreated before getting washed. I know it happens but it still frustrates me when I discover them. 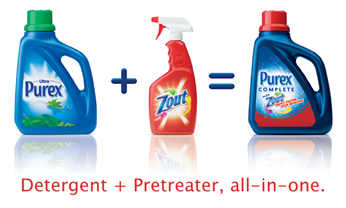 Purex Complete with Zout is a laundry detergent and pre-treater in one! Now I don't have to worry about something sneaking into the laundry. I know that our laundry is going to come out clean, fresh and stain free! That's just one less thing that I have to worry about and it feels great. It took the grass stains out of my 10 year old son's jeans and marker out of my 7 year old daughter's shirts. Spaghetti sauce is another stain maker that I no longer have to worry about either. It comes in two great scents: Fresh Morning Burst and Free & Clear. And is perfect for all types of washers, even HE! 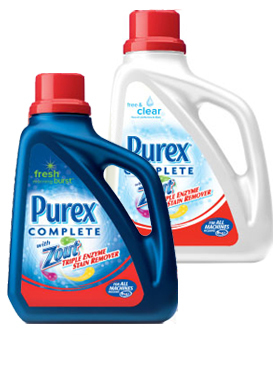 To try Purex Complete with Zout for yourself, you can request a FREE sample! Purex Complete with Zout combines the proven performance of Purex detergent with the triple-enzyme stain-fighting power of Zout pre-treater. This powerful combination works to get stains out the first time, even tough stains like grass, chocolate, and tomato sauce. Try it on your tough stains. 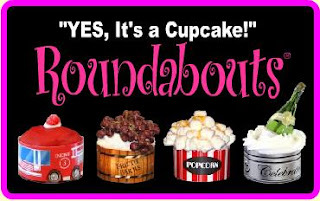 I want to thank everyone who entered my Roundabouts Cupcake Sleeves Giveaway - Winners Choice. 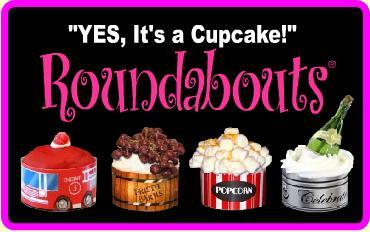 I would also like to thank the giveaway sponsor, Roundabouts, for sponsoring this great giveaway for my readers. Growing up my favorite Disney character was always Tinker Bell. Who could resist a cute, tiny flying, magical fairy? 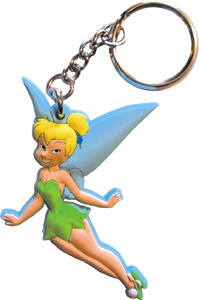 Join Tinker Bell on her adventures in Never Land with this cutout key ring. This cute and colorful Tinker Bell keychain is made of soft, durable rubber. My daughter quickly claimed it as hers and now has it for her ATV key. Wholesale Keychain has the largest assortment of keychains that I have eveer come across. If you can name it, chances are that they have it. Everything from Disney characters, animals, games, sports teams, lasers, pepper spray and so many more. You will be amazed! At Wholesale Keychain you can buy keychains individually or in bulk. Their keychains are made in the USA using only the best materials. Whether you're looking for yourself, gift items or even keychains for your business, I'm sure you'll find the perfect match. **I received one or more of the products mentioned above for free using Tomoson.com. Regardless, I only recommend products or services I use personally and believe will be good for my readers. I am disclosing this in accordance with the Federal Trade Commissions 16 CFR, Part 255 Guides Concerning the Use of Endorsements and Testimonials in Advertising. Tomoson Product review & giveaway Disclosure. I used to be a 5 times a week Starbuck's customer, venti with all the extras. Clearly that wasn't the most frugal option but at the time I thought it was the most convenient option. Several months ago in an attempt to save money and lose weight, I quit my Starbuck's habit and started making coffee at home. I've tried so many different travel mugs that I could probably open my own used coffee mug store. Those that claimed to be spill-proof didn't even come close. While others only kept my coffee hot for a matter of minutes. I no longer have to search for the perfect travel mug because I have finally found it! BRUGO! 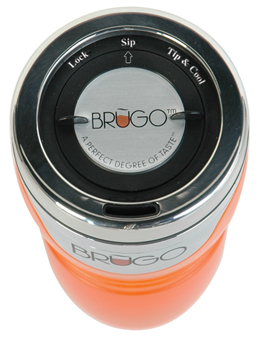 The Brugo travel mug is simply amazing! 100% leakproof, I promise you that it won't spill or leak all over your car, desk or favorite outfit. I filled mine up, turned it to lock and shook it upside down. I have two children in the house and Brugo is the safest coffee mug to have around. I don't have to worry about them tipping hot coffee all over them. I can safely drink my hot coffee or tea no matter who I'm with or what I'm doing! The 3-position drink mode selector may just be the coolest feature ever! Lock, Sip, Tip & Cool. In the "lock" position there is no need to worry about your drink leaking or spilling. Even if you drop it or it tips over, your drink is safe. You can "sip" your drink at it's current temperature. "Tip and Cool" means that your drink is going to "cool" before you're able to take a drink. Perfect for those extremely hot beverages and the perfect setting for children! I also love how the Brugo travel mug fits in my hand. It's the perfect fit. Very easy and comfortable to hold onto. It fits perfectly into my cup holders too, in both vehicles. Brugo makes the perfect gift. Parents, teachers, your boss and even children! I honestly can't think of a single person who wouldn't love one. As a parent, I not only love them for myself but they are perfect for my children to use in the vehicle as well. Brugo comes in a wide variety of colors from bright and bold to the more earthy tones. I received the mediterranean and I LOVE IT! It's a emeralad green color, perfect for both my husband and I. Other colors include ruby, truffle, spring, passion and mist. There are 13 wonderful colors to choose from. Brugo is always running great promos. Currently you can get 25% off when you buy 2 or more and free shipping on orders over $50.00. BREW and GO... the meaning of BRUGO! 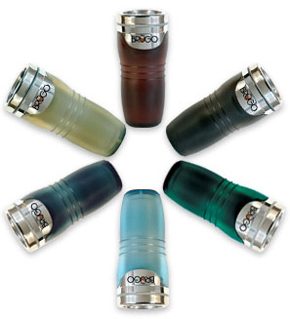 Visit Brugo and tell me what color is your favorite! This giveaway is open GLOBALLY!!! The winner will be chosen using Random.org, with the winner will be notified by e-mail. Please make sure I have a way to contact you. You can leave your email, or link to your blog site. The winner will have 24 hours to respond, if there is no response another winner will be chosen. A special thanks to Brugo for this great review and giveaway opportunity! Let's face it, none of us are getting any younger. Life, sun and time all take their toll on our bodies and especially our skin. I'm sure that secretly we all want to look younger, even if only a little. Are we as old as we look or as old as we feel? I was recently given the opportunity to try a home microdermabrasion kit. I'll admit that this was an entirely new experience for me. I'm almost 36 years old and have never even been to a dermatologist before or gone to such extremes when it comes to my skin. I'll admit that I'm always skeptical when a product promises amazing results. If there were a "magic pill" to make us skinny or a "miracle product" to keep us all young forever then wouldn't the entire population be super skinny, beautiful and young looking? While there are many products that promise results and don't deliver there are just as many great products that actually live up to their claims! One of those products that provides visible results is the PMD Personal Microderm system. It left my skin softer and smoother than ever before. My face felt cool, crisp and clean. I could see and feel the difference in a very short amount of time. Watching the instructional DVD is a must! I also recommend starting out with the blue exfoliating discs on your face until you're familiar and comfortable using the system. The blue discs are milder and more gentle on your skin than the green ones are. I prefer the green exfoliating discs for my heels, elbows and knees! The PMD Personal Microderm system is easy to use and comfortable to hold. It's also small enough to use at home or while traveling. PMD Personal Microderm was created to give consumers an effective home microdermabrasion without having to schedule an appointment at the dermatologist. PMD Personal Microderm gives you the results of a professional microdermabrasion treatment in the convenience of your own home. 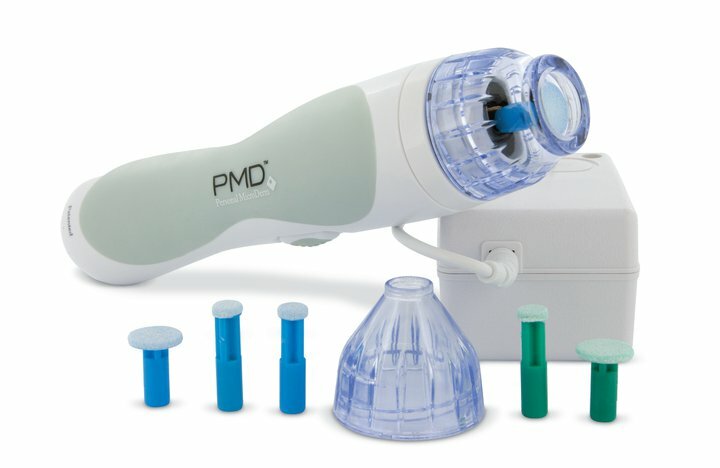 PMD Personal Microderm is an at-home microdermabrasion system that reveals younger looking skin by the same aluminum oxide crystals found in the equipment at your doctor's office, but in a microdermabrasion home system. A special thanks to SkinCareRX for this great review and giveaway opportunity! I want to thank everyone who entered my $25 Apothica Gift Certificate Giveaway. I would also like to thank the giveaway sponsor, Apothica, for sponsoring this great giveaway for my readers. Boon offers a wide range of products that help parents all over the world. From designer bath toys to feeding supplies to organizational items, Boon is modern, unique and fun. The thing I noticed first, the bright colors and modern designs. The Boon Bath Goods collection of fifteen bath appliques, three balls, and two mini-scrubbies makes bath time a creative and playful experience. The bright colors make bath time fun and they are the perfect size for little hands. No holes to store water means no moldy water squirting into the bath water. Just good, clean fun! My daughter loves them all, but I think her favorites are the mini-scrubbies because they are just like mommy's, only smaller. She keeps one her her bathtub and one in mine, so she always has one to use. She uses the brightly colored and fun shaped appliques all over the walls in the bathtub. She always has to show me her newest designs and creations. I love the fact that these bath toys spark her imagination. Boon Bath Goods are perfect for children of all ages, including infants and toddlers! Boon carries items that every child (and parent) wants, trust me! They also help make a difference by giving back. Boon has been committed to donating 10% of profits to charities specifically benefiting children in need. They honestly love children and it shows! If you aren't familiar with Boon and their amazing line of children's products, I highly recommend that you check them out! Visit Boon and tell me what other product you would love to have. A special thanks to Boon Inc. for this great review and giveaway opportunity! Living at the Whitehead's Zoo is written by a stay-at-home mom from Gainesville. She has three children ages 14, 12, and 2 years old, and she enjoys every moment. At Living at the Whitehead's Zoo you can find a little bit of everything including tales from family life, craft projects, giveaways and much much more. Easter is the perfect day to win a giveaway! With low entries, you have a great chance at winning a fun and creative treat for your family! 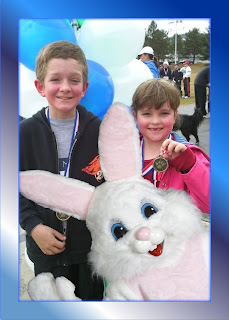 I want to thank everyone who entered my I Caught the Easter Bunny - You Can Too! 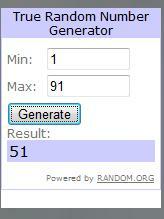 48 Hour Easter Giveaway - 5 Winners. I would also like to thank the giveaway sponsor, CatchACharacter, for sponsoring this great giveaway for my readers. 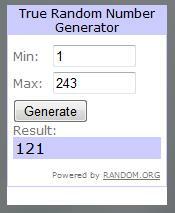 One of the previously announced winners had already won a code on another blog. She has graciously requested that I choose another winner in her place. Thanks so much!!! A Fellow Mom Blogger Needs Our Help in a BIG Way!